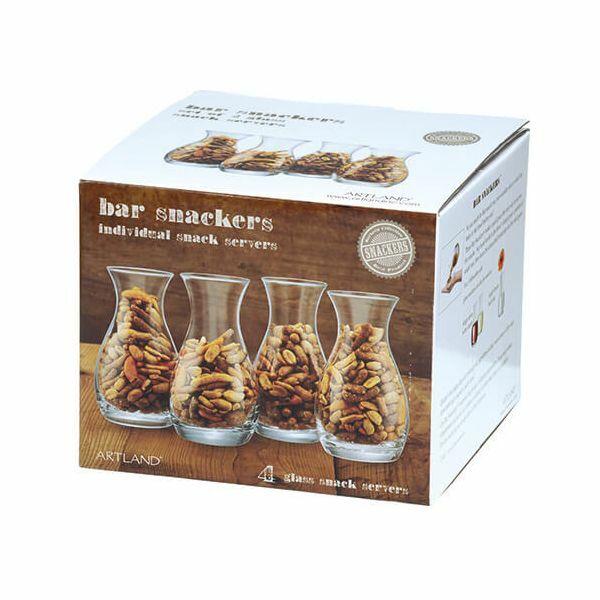 The set of 4 Bar Snackers are a great and hygienic way of sharing snacks, fill them up with nuts, crackers, biscuit or sweets and guest can pour out what they like, leaving the remainder untouched. 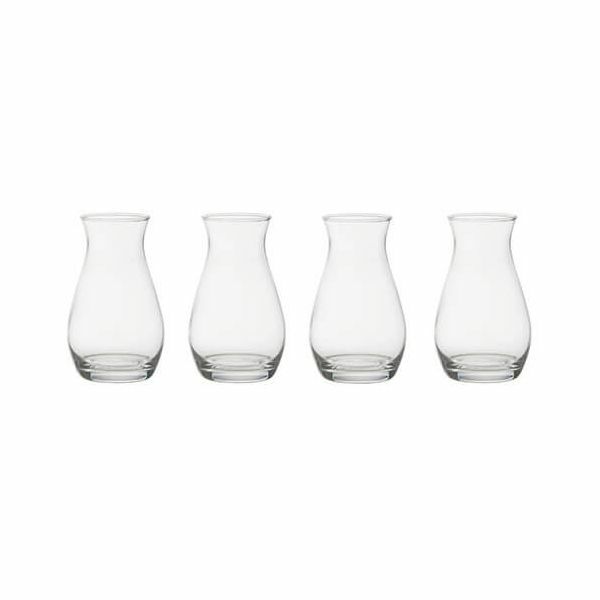 The shape of the Bar Snackers also means that they can be used for serving wine or used as a small vase for a small posy of flowers. The clear glass is suitable for cleaning in the dishwasher and each Bar Snacker has a 350ml capacity.